What Makes the BeQuick Business Intelligence Different? Business Intelligence isn't just reports and graphs. It is staying in tune with your business operations, employees, and subscribers. Having access to the information to make a difference in these areas will give you the edge to soar over your competition. Your operational support system should help you manage, monitor, control, and analyze your business. You have the control over your future, but BeQuick is there to help you along the way. Don't base any business decisions on data that is already out of date. In the wireless industry, hours and minutes matter, have confidence you are using the most recent information to run your business. Tons of data is useless unless you do something with it, so take advantage of the information you have. Give yourself the competitive advantage you deserve. At-a-glance views of all your critical data at your fingertips, keeps you informed about the health of your business and subscribers letting you track trends and stay ahead of the curve. Give your CSRs and other employees access to the data they need about subscribers instantly. Get a quick view of relevant business and subscriber information with the click of your mouse. Drill down Subscriber Lists, Orders, and more to find exactly what you are looking for, right when you are looking for it. Keep track of the health of your system with Logs. 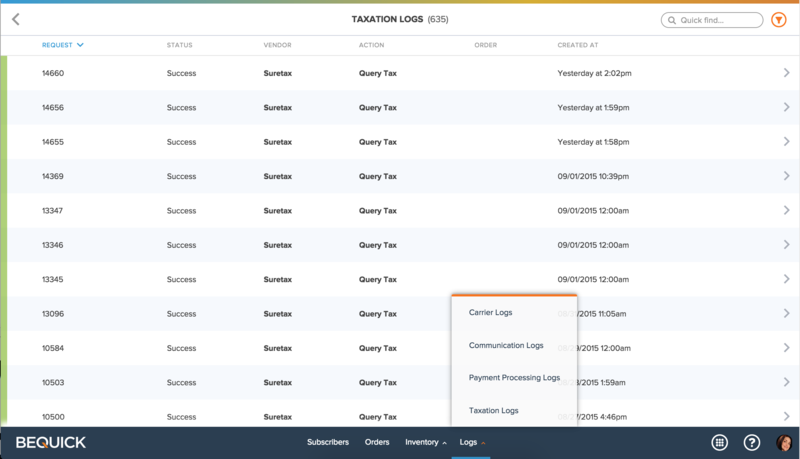 Carrier, Communication, Payment Processing & Taxation Logs allow on the fly troubleshooting for CSRs and your business operations teams. The comprehensive integrated reporting provides an easy point-and-click interface with the ability to create ad hoc, complex combinations of data with just a few clicks. Even get notified when the list gets updated while you are working on it. 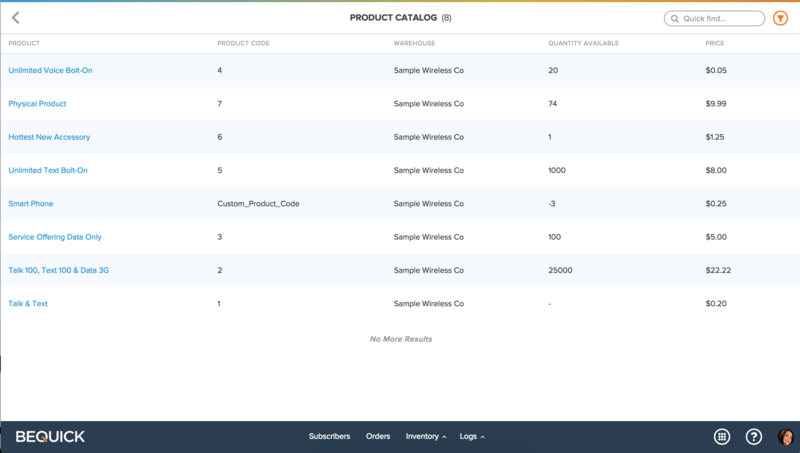 Know, at-a-glance, what your product catalog looks like, right now and make instant changes. Keep an eye on dwindiling quantities and stagnant products virtually (or physically) collecting dust.